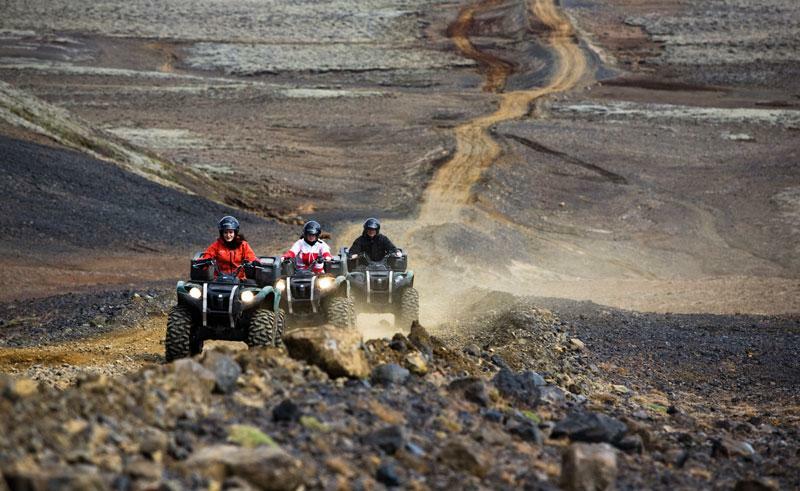 A superb excursion for those looking for some serious adventure; racing through a variety of terrains on a quad bike. Travel along the lovely Lake Hafravatn before heading up to the top of Hafrafell Mountain to enjoy breath-taking views of Reykjavik and surrounding mountains. Full safety instructions are given before setting off and approx. 1hr is spent on the bikes. Please note a valid drivers license is required for all drivers.